Sometimes even vampires need a small buzz, too! Get your vampire tipsy with this buzz-worthy drink. Take your empty pint glass and fill it halfway with Blue Moon. Next you will be pouring the Guinness in, but you must be careful not to compromise the layers of the “Eclipse” so using a layering spoon is in order. 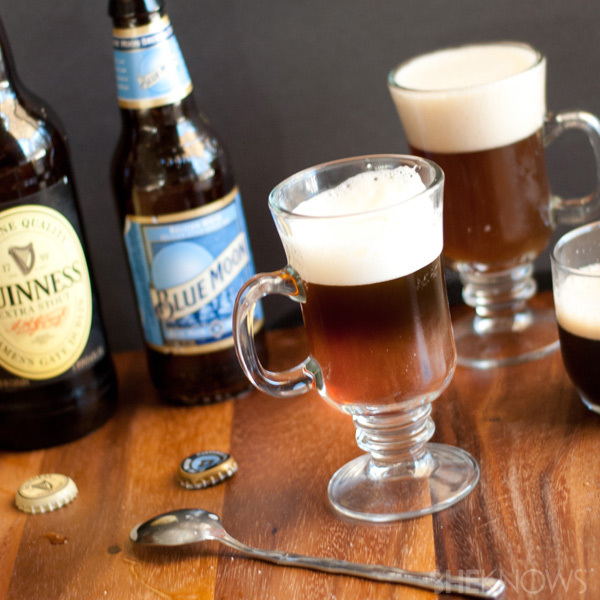 Take your layering spoon and slowly pour the Guinness over the spoon and onto the inside of the pint glass. This should effectively get the Guinness in the glass without compromising the layers of the Eclipse.